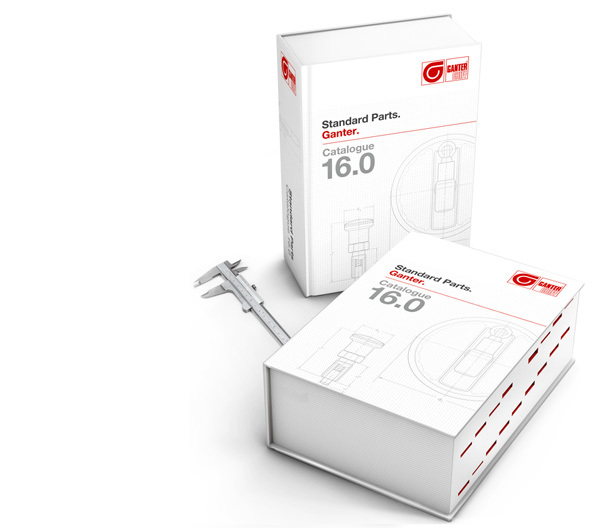 Ganter is expanding its clamp mounting selection with new elements that will ensure simpler, more optimal and more flexible clamping of system-specific components. The clamp mounting selection of Ganter has always been designed with universal use in mind, and the individual elements feature correspondingly versatile designs. 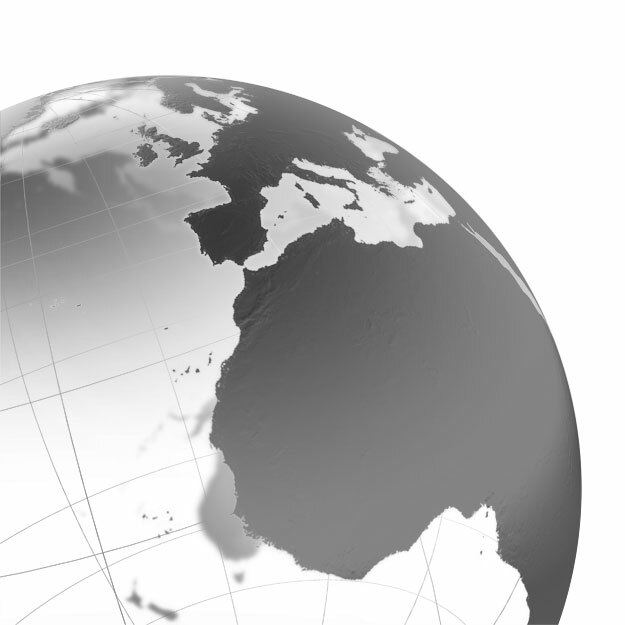 The robust system enables the fast, reliable and modifiable mounting of additional components in plants and machines. The classic applications for these parts include, for example, the stable attachment of sensors while still permitting easy adjustment of their position and coverage area. As with all standard parts in the Ganter portfolio, the clamp mounting selection is constantly being optimized and expanded to make them more efficient, simpler to use and easier to integrate. As many users have utilized the twistable two-way clamp mounting GN 475 to arrange attachment rods in parallel, Ganter was inspired by this application to create the clamp mounting GN 474.1 with two parallel clamping holes. The new retaining rods GN 480.3 and GN 480.5 of stainless steel also help make the system easier to use as their offset or angled shape eliminates the need to combine multiple straight elements. Thanks to its barbed fitting, the hose adapter GN 480.7 permits the direct connection of hoses on one side and thread-based mounting of an outlet nozzle on the other side. As a result, lubricants, coolant or compressed air are transported more effectively to the parts of a system where they are needed. Also new in the clamp mounting range: T-clamp , base plate and simple swivel clamp mountings can be assembled into a freely configurable articulated clamp mounting using the clamping kit GN 511.1. 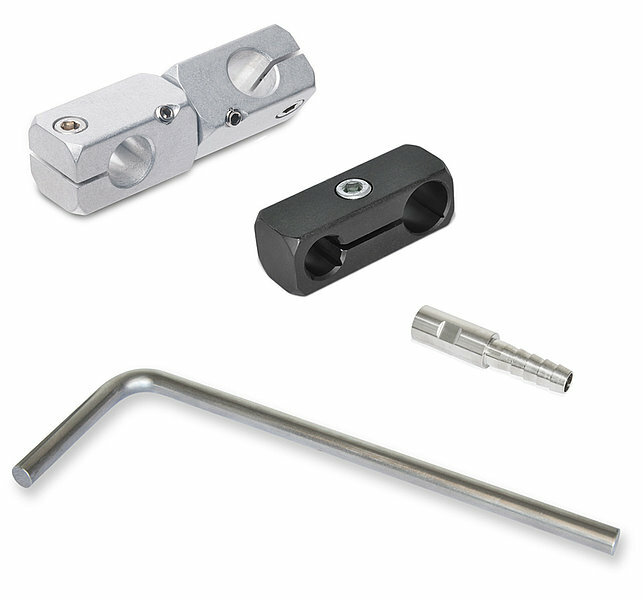 The clamping kit centers and connects the two clamp mountings with a screw or adjustable hand lever such that they are still free to swivel. But even used individually, the swivel clamp mountings offer a wide range of fastening and mounting options. Because Ganter always has the user in mind, all clamp mountings of a given nominal size can be mounted using the same tool; even the fastening and clamping holes have identical dimensions. This allows changes to be made without the need to drill new holes. Ganter goes another step further with the retaining magnet GN 51.6, which makes holes entirely obsolete. 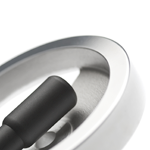 An integrated thread establishes the connection with various clamp mountings – this makes the rubber-coated magnet ideal for temporary installations on sensitive surfaces.